Develop a solid accounting foundation and the professional skills required to succeed. SPECIAL ANNOUNCEMENT: The Accounting Post-Grad Certificates from the School of Continuing Studies have received CPA Ontario Recognition. Read more. 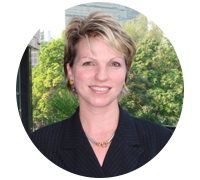 Excelling in an accounting position requires much more than just technical knowledge. In fact, many top employers believe that emotional intelligence, critical thinking, communication, and business acumen are equally important skills to have. Accounting professionals who master these key competencies routinely receive the best job offers and promotions throughout their careers. If your goal is to become a Chartered Professional Accountant (CPA), we can help you. Our Post-Graduate Certificate in Accounting will deepen your understanding of accounting while simultaneously sharpening your critical thinking, communication, and management skills. Designed in consultation with senior industry executives, thought leaders, and prominent York University academics, the Certificate will equip you with relevant and in-demand knowledge and all course content will be immediately applicable in the workplace. The program culminates with a unique final capstone course where you will apply your knowledge to real-world business challenges, so you’ll be prepared for your next job interview. 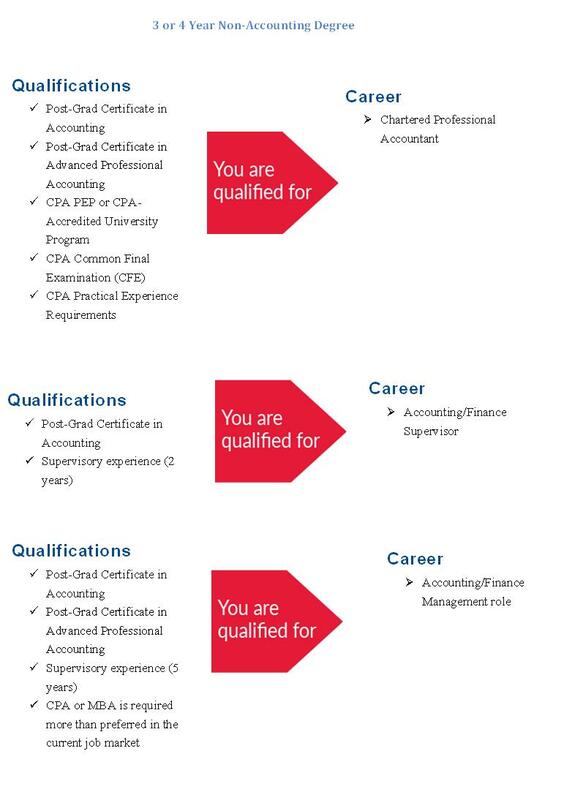 The Post-graduate Certificate in Accounting will qualify you for roles in the accounting and finance fields, to get the necessary industry experience before you ultimately achieve the CPA designation. Our flexible accounting education is designed to meet the needs of a wide range of students. The entire program can be completed in just eight months of full-time study, which is considerably quicker than comparable certificates. You will also benefit from studying alongside a network of peers who are completing the program on the same schedule. Need a break from your studies? You can always transfer to the next cohort. Preparing for your CPA designation. The Post-Graduate Certificate in Accounting is the first step towards becoming a practicing Chartered Professional Accountant. 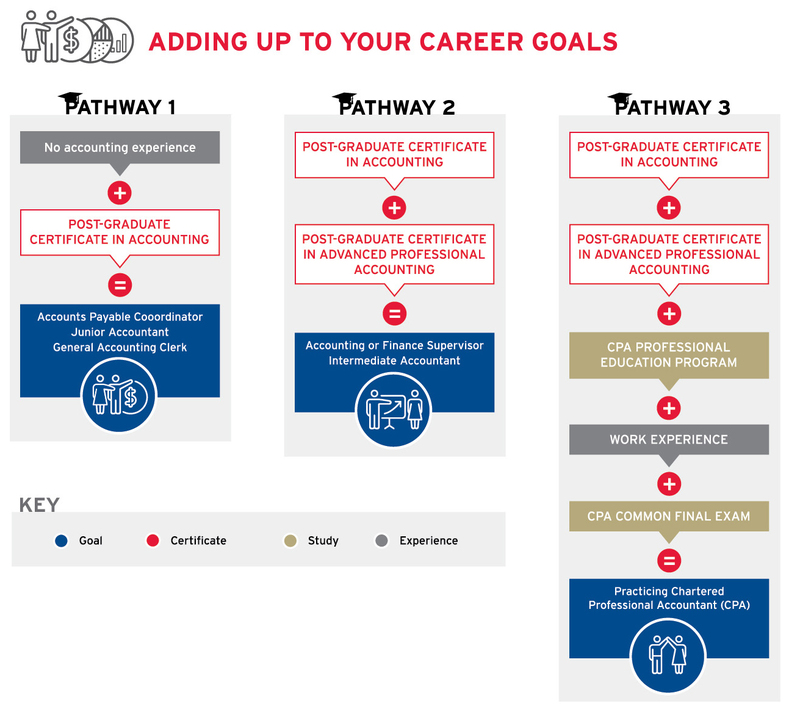 Step two is applying to the Post-Graduate Certificate in Advanced Professional Accounting, an accelerated program that continues your CPA preparation and provides valuable training in accounting and finance. Both certificates can be completed in less than two years of full-time study. Once you’ve earned your certificates, you are now ready for the graduate level CPA Professional Education Program (PEP). Unlike students who complete college accounting programs, you will be fully prepared for graduate level courses as a result of your university training. With your York education and the CPA PEP under your belt, you will then go on to write your CPA Final Exam and receive your designation. In-class, full-time: Earn your post-graduate certificate in just 8 months by studying full-time on campus in our accelerated program. This full-time post-graduate certificate program will prepare you for a successful career in accounting and finance roles in just 8 months while helping you to effectively balance your professional and personal responsibilities. International students benefit from additional supports, including York’s exclusive Mastering Canadian Business and Canadian Academic & Business English courses, to help you excel in this accelerated full-time program. To be successful in all accounting roles, professionals need to have a breadth of transferable skills that enable them to work effectively within teams across a variety of business functions. Through theoretical instruction, practical case analyses, interactive and team-based exercises, as well as oral and written assignments, students will develop strong critical thinking and problem solving skills, business acumen, communication and presentation skills, and many more key professional competencies. Be introduced to basic concepts in financial accounting, managerial accounting and their interrelationships to duties and responsibilities of an Accounting professional. Acquire a critical overview of accounting processes and a broad understanding of the role of accounting in modern society. Study management accounting as an introduction to decision-making based on cost and budget information supported by planning and control practices. Emphasis will be placed on applying basic techniques of management accounting to both quantitative questions and case studies representing a variety of business organizations. Become familiar with the basic principles and tools of both micro- and macro-economics. Explore the emergence of a market economy and the economic way of thinking. Major topics include demand and supply; the behaviour of consumers and firms; the influence of different market settings on costs, pricing, and profit maximization strategies; and contemporary macro-economic issues such as international trade and finance, public policies, inflation, unemployment, and economic growth. Learn statistical methods and how to evaluate the opportunities and limitations of these methods. Practical application will be stressed, with emphasis on suitability of method, interpretation of results, and coordinating statistical data with other information. Review the legal principles that are both fundamental and relevant to Canadian businesses. Beginning with contracts and torts, students will also study forms of business organization including sole proprietorships, partnerships, and corporations. Other topics to be studied include employment, consumer, environmental, and real estate law. The course will conclude with a look at intellectual property law. Examine an overview of information systems – from conceptual design to actual selection, with emphasis on systems management. The strategic role of information technology within a competitive business environment will be explored, along with the ethical implications. The technical foundations of information systems, their impact on an organization’s management, (knowledge accumulation and decision-making) will be illustrated through software simulations and hands-on practical assignments. Make connections between the various topics in the program; to analyze, synthesize, and apply the knowledge gained throughout the program to real-world business cases. Courses are offered at our vibrant Keele campus conveniently located near several 400-series highways and accessible by the TTC, GO, York Region, Brampton, and Viva transit systems. Please view our interactive map for more information on the campus including parking and amenities. Tom Kofman, CA, CPA, Chairman, M Partners Inc.
Our Post-Graduate Certificate in Accounting is offered in a full-time, in-class format, as well as an online format. To select the appropriate program, consider the format that best suits your learning style, your schedule, and your need for flexibility. Classes meet daily (Monday–Friday) with specific days allocated as study days. Class size will range from 25–50 students, with a mix of domestic and international students. All classes are held at the main campus of York University at Keele and Steeles. You should expect 12 to 14 hours of reading per week in addition to assignments and test preparation. This format was designed to make our program accessible to those working full-time, or those who may not be able to complete the course within a specific timeframe. Courses may be completed according to your schedule; there is no “live” requirement. 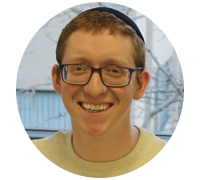 You will go through the program with the same group of people, allowing for a deeper peer-learning experience. You will know when each course is scheduled at the beginning so you can plan accordingly. Courses will not be cancelled, so you can complete the program on time. You will get the summer off to relax and recharge. You should expect to allocate six to nine hours per week to complete your work. Final exams will be done online from the comfort of your home on the last Sunday of the course. The courses are interactive and include case studies, weekly discussions, group work, videos, simulations, and narrated audio and video presentations. A Post-Degree Certificate in Accounting is well worth the investment, both for career prospecting and career satisfaction. Please review the tuition requirements below, especially if you’re an international student. The first payment of $1,450 is due at registration with each of three instalments due at the start of the subsequent terms. For example, for online students beginning in Fall 2017, payment 2 would be due on January 15, 2018, payment 3 would be due May 01, 2018 and payment 4 would be due October 01, 2018. For online students beginning in Winter 2018, payment 2 would be due May 01, 2018, payment 3 would be due October 01, 2018 and payment 4 would be due January 15, 2019. You will be notified directly if additional information or documentation is required by the Program Manager.